Pong (Atari in 1972) helped establish the game industry and is often referred as the origin of video gaming. 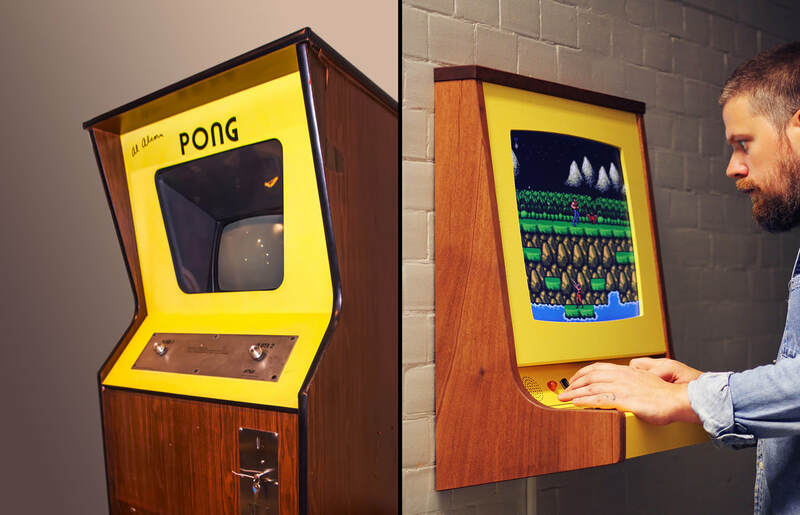 OriginX is a handcrafted wooden tribute and a delicate homage to the Pong cabinet. Just like its precursor - OriginX is dressed up in an elegant exterior composed by walnut housing, yellow facade and control panel made from aluminium. 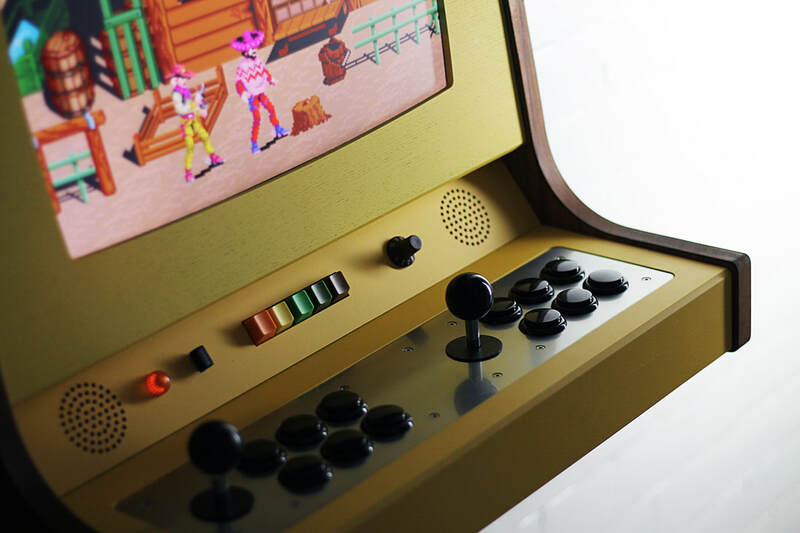 ​OriginX is a link between the present and the past and a tribute to the arcade. 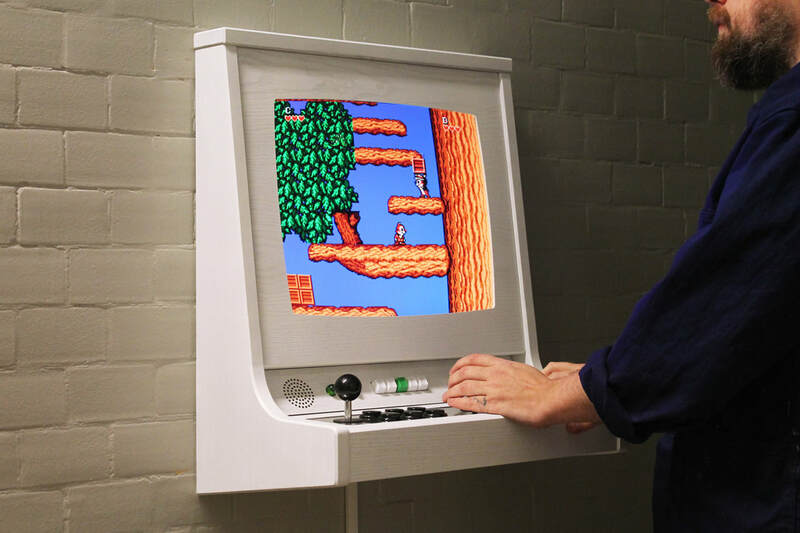 The slim wall mounted cabinet combines modern hardware with classic design and lets you enjoy classic co-op games like Metal Slug, Gauntlet and Contra in first class. It can store over 10.000 emulated games. Add your own favorites through USB and create a personal game library.